Christmas is right around the corner and one of my favorite things to do around Christmas is to read books to Peyton. Starting December 1st we start reading one book every night. One NEW book every night. A Royal Christmas to Remember is fabulous addition to our holiday tradition. A Royal Christmas to Remember is the 13th book in a series called Princess Parables written by Jeanna Stolle Young. The story focuses on five princesses – Joy, Grace, Faith, Charity, and Hope. The weather has turned and winter has arrived. The girls are very excited for the holiday season that is coming. The girls are focused on having the best Christmas ever. They want the decorations to be perfect and the presents to be spectacular. While they are focused on decorations and presents they lose sight of what the true meaning of Christmas is all about. While the girls are distracted by materialistic objects a group of bandits ride into town and try to steal all the presents. This helps snap the girls back out of their focus on objects and remember what the true meaning of Christmas is. Christmas is about the celebration of Jesus’s birth not about presents. With the holidays right around the corner, I think this is a great book for the whole family. It’s easy to get caught up in gift giving and present and decorations and forget what Christmas is all about. A Royal Christmas to Remember is geared towards children ages 4 -8 years old or preschool to second grade. 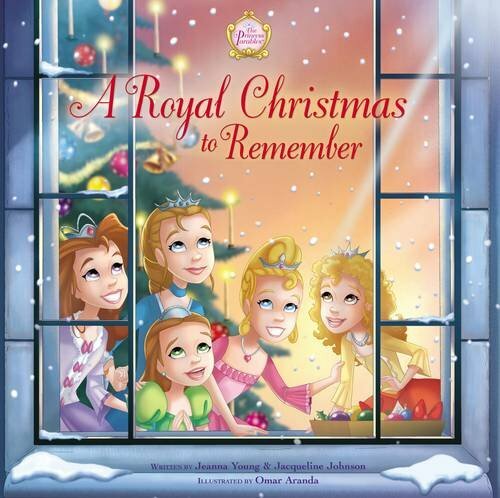 A Royal Christmas to Remember will be released on October 11th online and in stores. You can purchase an advance copy online or look for it at your local retailer next week.